Harvest Gold Memories: TV Reboots: "The Brady Bunch"
TV Reboots: "The Brady Bunch"
The late Sherwood Schwartz was, back in the day, a pretty successful television producer. He's best known for "Gilligan's Island" which aired on CBS in the late '60s and "The Brady Bunch" which aired on ABC in the '70s. These shows didn't exactly please the TV critics, but were successful enough for the networks. "Gilligan's Island" ran for 3 seasons, while "The Brady Bunch" ran for 5 seasons. 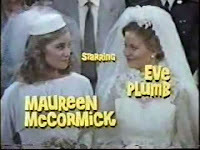 He also happened to write the memorable theme-song for "The Brady Bunch" himself, and he produced a show that ran for a single season in the early 1980s based on a hit Country Western Song by Jeannie C. Riley: "Harper Valley PTA" which starred Barbara Eden (of "I Dream of Jeannie" fame). His early work in Hollywood was writing for a 1950's comedy show, "The Red Skelton Show" for which Mr. Schwartz earned an Emmy. But Mr. Schwartz was perhaps a better businessman than he was a TV producer, selling his shows in numerous syndication cycles, making those (and the casts) household names to a generation of viewers who didn't necessarily tune in when the shows aired the first time around. "Gilligan's Island" ran for just 3 seasons, yet has never left the airwaves. 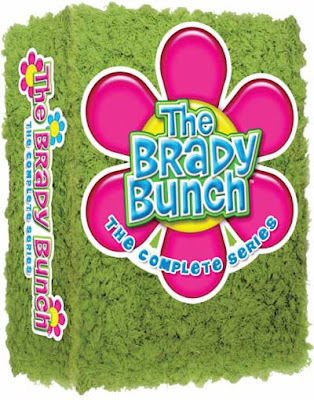 Beyond re-runs in syndication, "The Brady Bunch" launched many specials and spinoffs including "The Brady Girls Get Married", "The Brady Brides", "A Very Brady Christmas", "The Bradys", as well as a variety show called "The Brady Bunch [Variety] Hour", an animated cartoon known as "The Brady Kids" as well as spawning 2 comedy-parody movies in the early 1990s. The cast, of course, never really enjoyed the financial benefits of that syndication blitz, creating a case for actors to negotiate financial benefit from airings in syndication, home video/DVD and digital sales, etc. by saying "Look what happened to the cast of 'The Brady Bunch'"! In any event, this week news surfaced that CBS has placed a script order for a reboot of "The Brady Bunch," which is being executive-produced by 'The Watch' star Vince Vaughn", an individual with knowledge of the project told TheWrap. Apparently, it will be a "multi-camera comedy project, which will be produced by CBS TV Studios." My readers may recall I covered the mixed track record for TV show reboots (see my post on the TNT reboot of "Dallas" HERE). Indeed, Hollywood has tried to reboot "The Bionic Woman", "Knight Rider" and "Charlie's Angels", all of which have failed. On the other hand, a few have done reasonably well including "Hawaii Five-0" and, so far, "Dallas". I said it then, and I'll say it now: the producers that have bombed have not acknowledged the history of the shows, which is key to luring viewers who actually knew the originals. Those that have succeeded acknowledge the show's heritage while modernizing it with new cast members. Obviously, that works better for some shows than it does for others, with "Hawaii Five-0" as perhaps the best example. Deadline reports the reboot will be set in the current era, but will have a decidedly more modern, evolved take on blended families. That sounds good. Apparently, the reboot "Brady Bunch" will center on Bobby Brady, a divorced dad who marries a woman with children of her own. 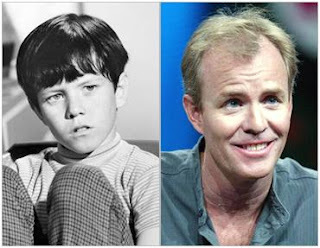 No word as to whether Mike Lookinland who played the original Bobby (and appeared in several of the reunion shows/movie) is being considered. 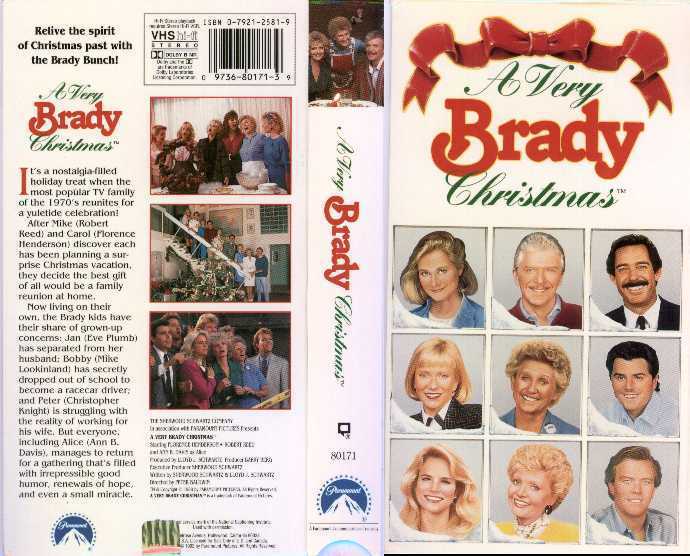 The last "episode" I recall Bobby was a racecar driver in "A Very Brady Christmas" which aired in 1988 (I have a copy on VHS! ), and in "The Brady's" sequel series, Bobby was paralyzed from the waist down in an accident as a driver in the Indy 500 race! It would seem really disconnected if they fail to acknowledge that history in some way. After all, this is not intended to be a parody like the "Brady Bunch Movie" and "A Very Brady Sequel" were back in the 1990s, so having some continuity with story lines seems appropriate in this case. The media reports that the updated Brady couple also shares a child, but ex-spouses will still be part of their lives. The Associated Press reports that Mike Mariano ("Raising Hope") will write and executive produce the new project. Lloyd Schwartz, son of the original "Brady Bunch" creator Sherwood Schwartz, will also serve as an executive producer, alongside Vaughn, Victoria Vaughn (the actor's sister) and Peter Billingsley (yes, that IS the kid from "A Christmas Story"! See HERE for a before-and-after update for him). Those are positive signs, as most seem to have motive to produce a decent product. I think it's premature to reach any conclusions at this point, but I sincerely hope Mr. Vaughn considers my thoughts. Remember, the former President of NBC, Warren Littlefield said (see my post HERE) "... in a network world, that [meaning bigger-budget productions for a series] still may not survive. Network [TV] is still looking for a larger tent, still looking to find something like a 'Modern Family' that appeals to adults and kids, audiences of all ages. That's still, at nearly 20 million people a week, that's a pretty broad-based hit that really far exceeds what's being watched on cable." But I noted in my commentary that unlike, say HBO, which is subscription-based, networks can't really do big-budget productions without massive audiences. Indeed, I did an entire post entitled "What Happens to TV As We Know It When The Business Model No Longer Works? ", and drawing an audience is getting harder and harder with 200+ TV channels in most homes, along with on-demand, Hulu, and DVDs competing for viewership, so drawing viewers in is critical. But, I'm likely to tune in, at least initially. 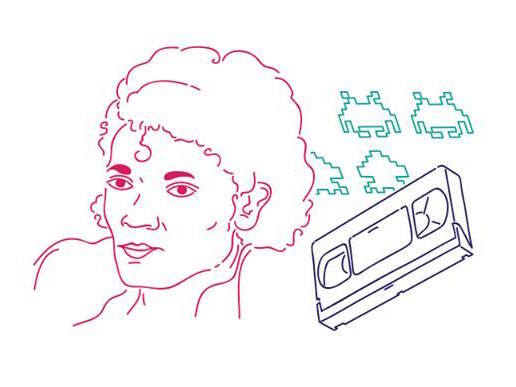 I did with "The Bionic Woman" but hated it. Still, I have zero interest in watching Snooki and JWoww on MTV (see my post on MTV HERE), so I'd welcome something that's reasonably coherent and entertaining. Below is the (in)famous Brady Bunch theme song, or you can get it at Amazon.com. I would just add that an interesting fan page dedicated to the series called "BradyBunchShrine.com" has the themes as well as all the various other sound effects, so check it out. For those who prefer the classic, rest assured those are still alive and well on television even today. As of August 2012, the show runs on Me-TV, and the socially-conservative TV network INSP, so you can set your DVRs accordingly. Beyond that, it can be streamed via Amazon.com Instant Video (for a fee), Netflix streaming (subscription required), or a few episodes can be watched online (free, at least presently) on the CBS-operated TV.com website or mobile application on either the iTunes or Android/Google Play marketplaces, or you can get it on DVD (and some still have it on VHS, too, check for it on eBay if you prefer the analog format). Of note is that each season can be purchased individually, or you can buy the entire series complete with a shag carpeting themed package. Groovy!! Finally, over time, I will be covering different aspects of The Brady Bunch again, so stay tuned for more.